Counting down the days till your interview can be the scariest times for anyone, especially if you haven’t had an interview for years. With all the legal changes recently and the fear of being made redundant hovering, being worried about your interview is one more thing you could do without. I have compiled a list of top tips that may help you to de-stress. You may not know everything about the company that you are applying for, but be sure that they will ask you ‘What do you know about our company’. Make sure you outline; what the company does where they currently stand and their mission. Also investigate developments in the industry so you can converse with confidence. Giving that there is no formality set for every job interview, there are some questions that you can almost guarantee will pop up; What are your Strengths? What are your Weaknesses? Explain why you are the best candidate for this role? Prepare your answers. Good preparation is the key to staying in control. Plan your route, allowing extra time for any unexpected delays, and get everything you need to take with you ready the night before. Remember to speak clearly, smile, do not fidget and remember that your interviewers are just like you, and the may be nervous too! 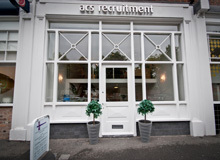 ACS offer guidance assisting candidates with help on what to expect on an interview. Whether this be your first interview, first interview in years or you have been on many interviews but not getting the job. With all of our candidates that go for interviews, we ask for feedback whether positive or negative from the company, on all candidates. We will then provide all constructive feedback to the candidate to help them secure a position.